Pain or injury is a common experience for everyone. You don’t choose to have pain; it usually finds you unexpectedly through an accident, stress or illness. 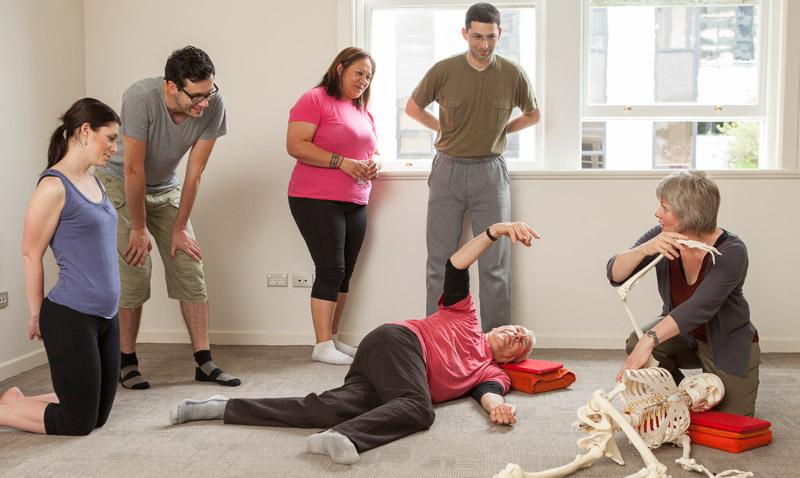 Research has provided evidence that the Feldenkrais Method is effective in reducing pain. Through the Method you discover new ways of moving so that balance and coordination is improved. Movement becomes easier and there is less strain on joints and soft tissue. You learn to experience safety and comfort in movement so that you can relax and enjoy your body. The Feldenkrais Method is effective too in preventing injury. You learn how to use yourself in a strong and dynamic way and to distribute movement more evenly through muscles and joints. You find the weaknesses and create better habits, experiencing safety and relief in new ways of moving. If you do get injured the slow, gentle movements of the Feldenkrais Method activate your whole system to support the injured area so it has a chance to heal while also of reducing the stiffening and soreness that often accompany an injury.